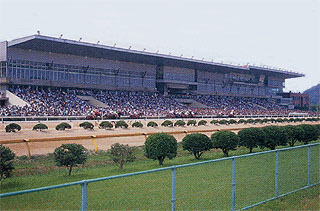 This racecourse boasts a large viewing stand and the biggest parking lot (capacity of approx. 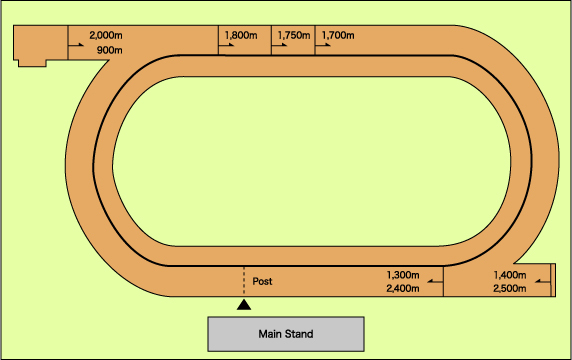 10,000 vehicles) among regional public racecourses. Another reason for its popularity is that it takes only about 20 to 30 minutes by limited express or rapid train to travel from Hakata to Tosu. 15 minutes from JR Tosu Station using the Nishitetsu Bus to Metabaru-Kanzaki Station; get off at the Keibajo-Mae bus stop (in front of the racecourse). 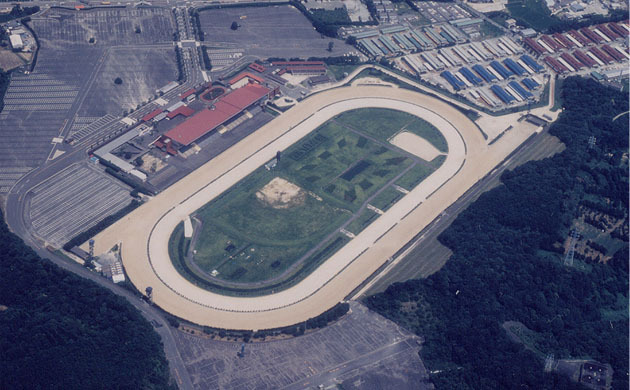 * On days when races are held, free shuttle buses run between the Saga Racecourse and JR Tosu Station, JR Kurume Station, Nishitetsu Ogori Station, Nishitetsu Yanagawa Station and other locations. 10 minutes from JR Tosu Station.